13 WEEK MUSIC INDUSTRY SEMINAR COMES TO DUBLIN. Looking to break into the music industry, or perhaps you’re already in it and have some questions? Then look no further. 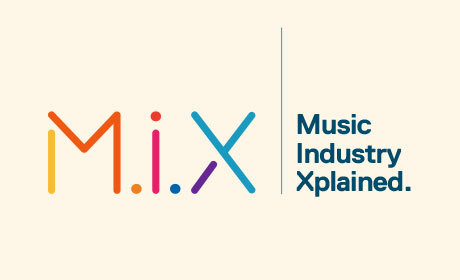 ‘Music Industry Xplained’ or M.I.X is heading your way with places available for those interested. 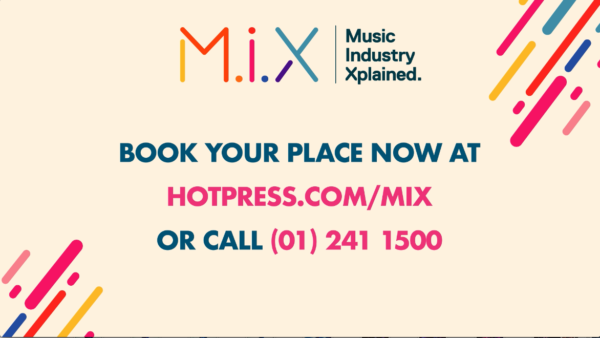 The MIX course run by Hot Press is aimed at those who want to learn more about the music industry, management, media, publicity, promotion, publishing, record labels – and indeed about the wider entertainment and media industries. It’s a 13 week course (one evening a week) in its 14th year, with Ireland’s top industry speakers including the likes of Jackie Hayden, Steve Averill (U2 designer) Gavin Glass, and Nick Seymour (Crowded House) – as they present an invaluable grounding in all areas across the music industry. In addition to this, students will build a network and have contacts at their disposal consisting of the leading professionals working in the industry – the contacts you will make in the course are second to none. 13th at 7.30 – 9.30pm. The quality of the lectures delivered are at a diploma level however prices are kept the cost, as low as possible to make it accessible for all. The total cost of the course is just €595.